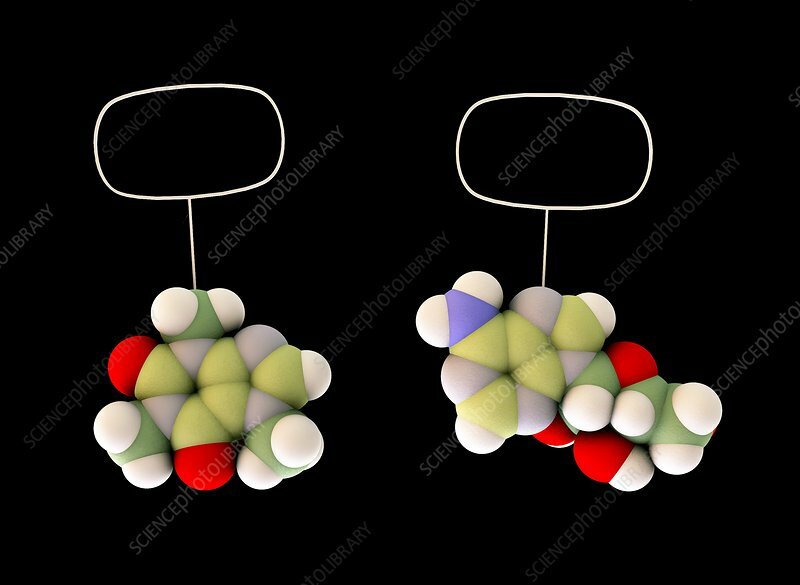 Molecules of caffeine (left) and adenosine (right), computer artwork. Caffeine acts in the body as a central nervous system stimulant and is the world's most widely consumed psychoactive drug. Adenosine is an endogenous substance (produced naturally inside the body) and acts as a central nervous system inhibitor (depressant), with essentially opposite effects to caffeine.